In December 2017, the US branch of Chinese oil and gas firm Sinopec sued the Venezuelan state-owned oil company PDVSA and a settlement was reached in the same month. PDVSA agreed to pay $21.5 million in two installments, but it will take a long time to recover the huge amount of loans China provided for various infrastructure projects. What makes it worse is that oil production in Venezuela has plunged to a 28-year low because of a lack of investment in oilfields. The oil shipped to China has also been decreasing. The idea of paying back the loans with oil has become less realistic. But if the loans cannot be paid back through oil, perhaps Venezuela's new cryptocurrency, petro, could offer a solution. Presales for petro - so-called because it is backed by Venezuela's natural resources, oil in particular - began on February 20, 2018 and the currency is likely to have its Initial Coin Offering (ICO) on a public blockchain-based platform in March. The value of a single petro token is equal to a barrel of oil, or approximately $60. However, in order for the cryptocurrency to be used to pay back Venezuela's debts, petro will have to maintain a certain rate of liquidity. And adequate liquidity is based on demand, which is linked to its credibility. So far, most countries and investors have shown little faith in the credibility of petro. US President Donald Trump banned any US purchases of petro earlier this week. Some of the doubts about petro are related to the circumstances of its release. The cryptocurrency was designed to serve the Venezuelan government, which has been forced to seek new options by the collapse of the country's economy. Venezuela's official currency, the bolivar, has plummeted since 2017 and inflation has soared. Thus, issuing the cryptocurrency is seen as a last-ditch measure. Another reason for doubts about petro is the possibility that it could be created in unlimited amounts. Venezuela claims there is a limited number of petro tokens, which will be sold in batches. But this could just be a kind of hunger marketing, with the apparently limited quantity designed merely to boost demand. Generation of petro is similar to that of Bitcoin, in that it relies on mining. It is also suspicious that government white papers for petro have offered conflicting information and have not mentioned how the currency is mined. It has even been stated that all the petro tokens have already been mined by the government of Venezuela. Therefore, nobody knows if it was designed so that more could be created whenever needed. But it's hard to dismiss petro as a fraud, partly because an ICO for a cryptocurrency is a simple process. Technically, anyone can hold their own ICO as long as there is a project, a team, official information about it and publicity for it. A secondary market will be created and can start trading tokens with interested investors, and the primary market will likely be moved by the secondary market. This secondary market is just like a stock market. Investors have no way to verify the credibility of a company's information, but it does not stop the ongoing trading. Therefore, it is hard to identify it as a fraud. However, since petro has been pegged to sales contracts for crude oil, it is hard to know if the oil industry of Venezuela can provide sufficient backing, given the lack of investment. In the foreseeable future, the country's oil output may be even lower. There are too many uncertainties about accepting petro as a form of payment for loans to Venezuela. If the cryptocurrency has inadequate liquidity, investors will be trapped in the petro market. And, since petro is pegged to sales contracts, it will directly influence the primary market, which is composed of refiners and distributors such as Sinopec. Many downstream companies have signed long-term agreements with Venezuela, and scrapping of the contracts could cause great losses. If Venezuela changes its methods of settling oil trading, the downstream players will likely be trapped as well. 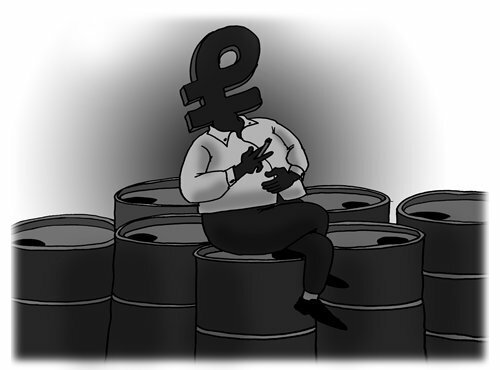 However, petro may see some initial success, as other cryptocurrencies have, and if the liquidity is adequate, Chinese creditors may yet be willing to accept it as a type of financial investment.